So what do you do when the holidays are coming and you need some way to get in the spirit? We can’t count on snow, shopping can get too stressful and putting up the Christmas tree makes someone in this house say bad words. So we do what we do best – reach for a book. Here is a list of books that should warm the cockles of your weary holiday heart and have you humming carols as you sit in front of a crackling holiday fire. Or on the beach, in your air conditioned house or in your cubicle at work. Books have the magical power to put us all in a Norman Rockwell Christmas. Nevermind that disappointing movie adaptation from a few years back. The Dark is Rising is the best-known book from an excellent YA fantasy series; although it’s actually the second book in the series, you can start right here with this stand-alone novel… though I predict you won’t be able to resist reading the rest. On his eleventh birthday, which falls just before Christmas, Will Stanton discovers that he is the last of the Old Ones, powerful immortals who use their magic to fight the evil Dark. As an unnaturally cold winter freezes all of England, Will must track down five elemental signs of power and learn what it means to join this ancient circle of magic, while defying the sinister Dark Rider and his minions. Can I just tell you how badly I wanted one of those magical medallions as a kid? I still read this one every winter. This classic children’s story, complete with window sashes and kerchiefs and caps, is made extra special by the gorgeous illustrations of Jan Brett. Her signature style of elaborate border work that adds detail and whimsy to the text is perfect for this traditional read-aloud. We read this to our children on Christmas Eve from the time they were very small and the younger of the two, now a teenager, still asks for it every year. Perfect for children, grandchildren, adult children and adults who appreciate tradition and a lovely picture book to set on the hearth during the holiday season. Sure, this is kind of an obvious go-to, but if you haven’t read (or better yet, listened to) “The Santaland Diaries” in a while, it really is worth revisiting David Sedaris’s classic, hilarious account of his horrifying stint as a Macy’s elf. I’m also a fan of “Six to Eight Black Men,” which pokes fun at the admittedly strange Dutch version of Santa Claus. When the annual airing of holiday grievances begins, these irreverent stories are sure to restore your Christmas cheer. What is more cozy during the holidays than curling up with a mug of hot chocolate and a plate (or two) of cookies? If you’re like most of us, you bake or consume at least a few cookies this time of year and Better Homes & Gardens offers this handy guide to over 200 tasty treats in this holiday cookbook. My very first – and still basic go-to – cookbook was from Better Homes & Gardens and I trust them to print recipes that are thorough and easy to understand for cooks of all levels – with delicious results. I don’t have experience with this particular book, but it’s going on my Christmas list this year! Published just this year, this short-and-sweet picture book came to my notice via a sneak peek on Slate. In this kid-friendly comic, an exasperated Santa decides to ditch the iPads and e-readers in favor of a good old-fashioned book, hoping to get kids to appreciate old-fashioned handmade gifts. With help from the Cartooning Elf and a valiant knight, Santa sets to work, even though some of his tech-loving elves would prefer to just email gift cards. Cute illustrations, plus a message encouraging DIY creativity, make this a good choice for young nieces and nephews or a bedtime read-aloud. Most people don’t think of the Little House books in terms of holidays, but rather deprivation, impossibly hard work, frontier wholesomeness and Michael Landon. 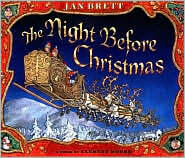 But this first book in the series covers the harsh winter and the very simple pioneer Christmas with cousins. This is a perfect gift for a child or grandchild, it’s also a lovely nostalgic read for those of you who read and loved the books as children. If you’ve never read them? Now is the perfect time to start! 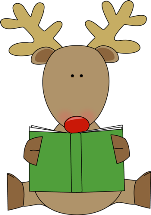 This is not a Christmas book. It isn’t a holiday book. But it’s a wonderful, wonderful winter book that made its first appearance at my house as a Christmas gift. It’s a picture book without text that tells the story of a little boy and his marvelous adventures with a snowman that comes to life in the dark of the night after a joyous snowfall. The soft, colored pencil illustrations are simple and magical, telling us everything we need to know about the boy, the snowman and their fanciful night of hijinks. The ending makes me cry every time I look at the book. Be careful to get the proper edition – some apparently (inexplicably) have text added, which ruins everything (the one below is the good one, have no fear). Also worth having is the short animated movie of the story, which makes me cry even more because the added music is lovely and perfect. So there you have seven books filled with warmth, nostalgia, giggles, excitement and calories. What more could you ask for during the holidays? Read, cook, laugh, enjoy!